When it comes to portable units, none are smaller than the Magic Flight Launch Box. This little gadget is perfect for a quick session on the go and is the smallest heater in the world. The heater works simply by inserting the battery into the box for at least ten seconds to heat up your preferred product. Once it is heated, remove the battery, and then enjoy. The heater does use up electrical juice fairly quickly, so it is important to remove the battery to conserve its energy and to prevent your product from igniting. The box only works with peeled, rechargeable NiMH batteries, but we also provide extras as replacements, or to be prepared with charged batteries whenever you need them. The Magic Flight unit itself is hand-crafted from wood and includes a locking glass top. It will fit well with your current gear, and is perfect for collectors and first time users alike. The ordering process is easy; simply add the Magic Flight Launch Box to your cart, then proceed to the checkout. 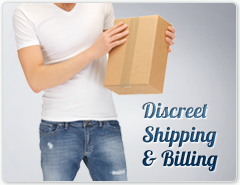 Next, enter your shipping and billing information. If you have any questions or comments, feel free to send an online message to our customer service office, or call us at 888-456-2281.